Nevermore is the beautifully wistful name of the latest release by Frapin. 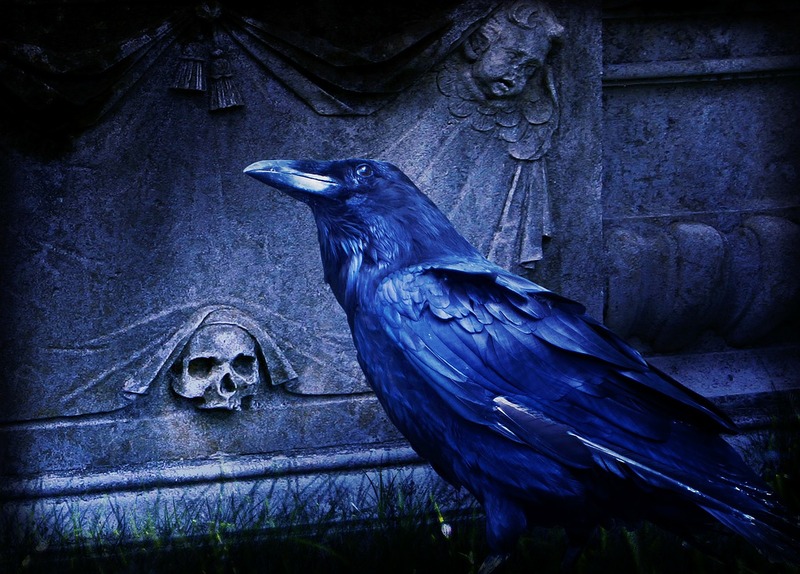 It comes from Edgar Allan Poe’s most famous poem, “The Raven”, which was first published in 1845. In it, an increasingly distraught narrator pines for his lost love, only to be taunted by a raven who repeatedly chimes the response “Nevermore”. The connection with Cognac producers Frapin can be found in the story of a mysterious figure known as The Poe Toaster who visited Poe’s tomb each year onwards from 1949, on the anniversary of the poet’s birth (19th January). After raising a toast to Poe he would leave behind three roses and a flask of Cognac. Anne-Sophie Behaghel is the perfumer behind Nevermore which includes notes of aldehydes, nutmeg, florazone, black pepper, rose, amber, Atlas cedar and saffron. Nevermore grabs your attention from the start, like a sudden gust of wind that takes your breath away. I get a sharp rose and dry cedar shrouded in ivy and veiled in an eerie mist of icy aldehydes. It’s sour, chilled and soapy, feeling like cold sweat on the back of your neck. I thought Nevermore would be a deep, enveloping rose but it’s woody, thorny and very light in weight. During the early stages, its reminiscent of an overgrown grave among the trees with a few roses strewn across it. I don’t know about brandy but there is a tart, wine-like quality to Nevermore. There’s also a metallic tinge, like a steel blade hidden in the undergrowth. Three hours or so into its development, the sharp and soapy notes have faded and I find a little warmth and some spicy sweetness for the first time. It’s still not exactly plush but I find it more to my taste from this point on. Apparently Frapin wanted to create a “masculine, modern rose”. Well, if a masculine rose can be interpreted as dry, wine-laced and rather subdued, then they’ve achieved this with Nevermore. But the theme and soapy aldehydes don’t make me think of it as particularly modern. It definitely has the atmosphere of a desolate cemetery, where the only sound is the rustling of the leaves on the trees. Personally I like my rose perfumes to be more full-bodied and less bracing but Nevermore wasn’t intended for those who like a luscious, feminine rose. It has a striking, ghostly presence and its mood is cold, stark and wintry. Like Poe’s poem, it’s a Gothic lament. How do you like your rose fragrances? Green and fresh or dark and deep? This entry was posted in By Tara, Fragrance Reviews, Frapin and tagged Fragrance, Frapin, Perfume, Review. Bookmark the permalink. I love the review. I will look out for Nevermore. Thanks, Portia. Maybe you will come across it on your travels. I adored this for first half hour and it takes me to the temples in India where they use various flowers and red sandalwood for prayers. Unfortunately it doesn’t not stay like that and ends up smelling like sweet synthetic muscle after an hour. About the rose fragrances, I love them anyhow. I’m currently in love with adp rose nobile. When you spray it, it is like putting your nose in smelly rose petals. Just amazing.it is sweet but not sickening sugary rather rose sugar. I’m fascinated that this took to India in the beghinning. Too bad it didn’t work for you after that. I love rose perfumes too. I think Birgit also took to Rose Nobile so I shall have to check it out. 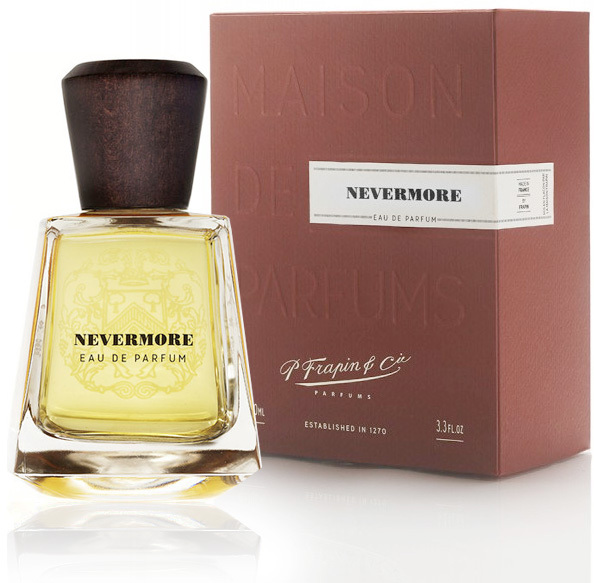 yes, the nevermore smells so much like the ‘red sandalwood’ aka – Pterocarpus santalinus. We use this wood as a remedy for any swelling on the body. A small wood stick of this is rubbed on a flat stone with some water to get a pulp like consistency which is then warmed with turmeric and applied on the swelling. Thanks for the extra info Mahesh. I didn’t know anything about red sandalwood. I love tumberic though and know it has all sorts of health benefits. I hope they get it in soon Tina and that you love it as you’ve been waiting to get your hands on it! A lot of roses go sour on me so as much as I love the name and the backstory of this one I’m not holding out much hope for it. If it stays cold and metallic on my skin I’m okay with that. It’s the sour roses I can’t stand. I’ll have to sample this one. It’s a great name and backstory isn’t it? Too bad roses tend to go sour on you. I hope Nevermore doesn’t go the same way. I’ll keep my fingers crossed! Loved your atmospheric review. This one does sound a bit desolate – the idea of cold sweat on the back of one’s neck is not immediately appealing, hehe. But props for an unusual and quirky theme. I like my rose scents with a twist all right, but more along the lines of woody, incense-y or gourmand. PHI Rose de Kandahar or Ta’if tick the boxes, say! Thanks, V. This one isn’t for me either but I also love the theme. With all the compliments you had for Ta’if the other night you’re not lacking a great rose! Lovely review Tara. Just like Poodle I have a problem with rose perfumes going sour on me. A chilly rose might be interesting eventhough I prefer mine warm and spicy. I will give it a try. Thanks, Sandra! Sorry to hear roses can go sour on you too. I had no idea this was an issue for some people. I love warm and spciy rose perfumes too. Nevermore is cold but it does have some spice. Worth a try. I loved your review and the atmosphere it gave to the story of the perfume. This scent may actually work for me although I must say the description of it doesn’t make me want to run right out and sample it. But most rose fragrances give me a horrible headache if they resemble the real thing. (Which is strange since real roses don’t.) The only rose fragrances I’ve been able to wear for any time have been those strongly cut with something else like incense, etc. So this fragrance definitely might work although I don’t think I want to smell like an overgrown graveyard :-). So probably not on my list to sample. Thanks, Kandice. Nevermore is not rose-heavy so it might just be okay for you, even though you don’t find it that appealing – which I completely understand. I would be very sad if roses gave me a headache but at least you can wear the ones mixed with incense etc. I guess you can wear the Amouage roses, Epic and Lyric, which are stunning. Ah, that’s too bad but yes, they’re not cheap and there’s lots more out there. Hope you find a rose that’s right for you. When I received Frapin sample kit I left this one aside as I wanted to enjoy 1270 & 1697 (I tried them before and liked immediately). But when a friend of mine (who also ordered the same kit) told me that it’s the worst frag in their collection I decided to test it. I remember impression that poem made to me many years ago and must admit they go along with perfume pretty well. It’s really dark, gothic fragrance, very sad but at the same time without a trace of depression or despair. It’s like memory of your dear or relative who’s gone long time ago – light silent sadness. This perfume is at its best when it’s very cold, the rose shines through ash, but still remains very quiet and discreet. In summer I’ll get back to loud, big roses – Portrait of a Lady, Fille de Berlin and my favourite sparkling champagne rose by Eau d’Italie. I totally agree Polinia. Whether you like the fragrance or not I think you can see it’s a good match for the poem. It is sad and mournful but no, I don’t find it depressing either. I also think it works well in cold weather. Thanks for sharing your favourite summer roses. Lovely picks. Your review makes Nevermore sound so weird and interesting 🙂 I can’t say that it sounds like exactly my cup of tea, but I definitely still want to try it, if only to see what cold sweat on the back of my neck smells like! Thank you for a wonderfully evocative review. Nemo, I should clarify that it gives you the feeling of cold sweat on the back of your neck rather than the smell! Gothic lament…Beautiful review, even if, this being a rose perfume, I will probably not seek it out. I do like the Frapins in general though, and it’s brave naming a fragrance after ‘The Raven’. I had no idea of this connection. How do I like my roses? Well, I’ll take them in bouquets 😉 or if in perfume, only a hint to add colour. Thanks, Asali. I know you’re not a rose person but it is an interesting inspiration for a perfume, isn’t it? The Frapins do seem to be generally well done. Yes and I think Nevermore fulfills the brief, even if it isn’t to my taste. Well, Tara, by your description of it, I don’t think I’d care for Nevermore, but still you wrote an intriguing review that was fun to read. It sounds like it lives up to its concept, which is admirable. This past week, I’ve been wearing Lyric, which is so beautiful. Amouage makes my favorite rose perfumes, and I do like them feminine, complex and either chypre- or oriental-leaning. I’ve also really been taken with Guerlain Encens Mythique d’Orient (thanks to Undina) … it has a beautiful rose note within it that is not the main note, but a key player. I can’t get enough of it, lately. Yes, not an easy concept to live up to but they’ve created something that reflects the mood of the poem I think. I’m very keen to re-try Encens Mythique now I know you’re so taken wiht it. I didn’t know there was a rose hiding in there and I like Rose Nacre from that collection. Lyric is a stunner. My roses are the same as Vanessa’s or Suzanne’s. Oh that’s interesting. I presume he’s a fan of the poem.